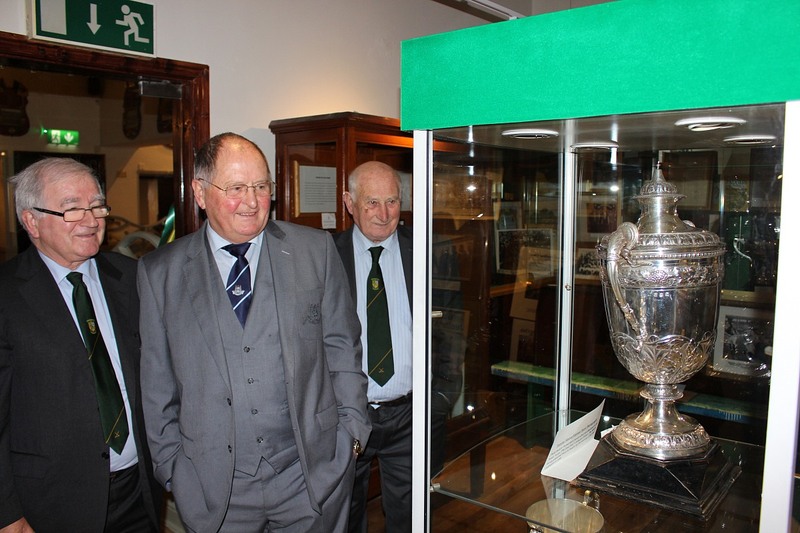 Our new Faughs GAA Museum was officially opened by Dublin GAA Chairman Sean Shanley on Thursday 24 Nov 2016. 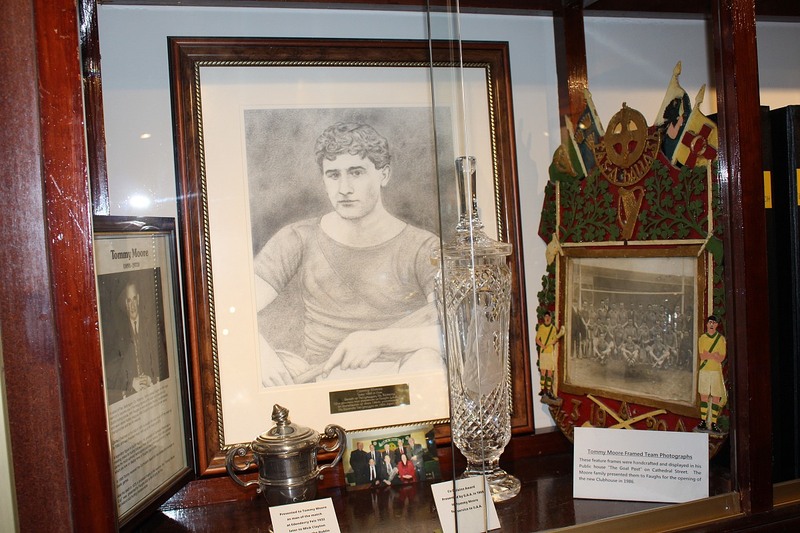 In a new annex off the club bar, memorabilia from throughout the club’s history, including from the clubs foundation by Michael Cusack in 1885, is on display. Well worth a visit. All welcome. The Faughs museum was opened in 2016 to commemorate the 1916 rising. Faughs G.A.A. Club was founded at Easter 1885, ‘Under the Big Tree’ in the Phoenix Park in Dublin. Its inaugural meeting was held in no. 4 Gardiner’s Row, the then home of Michael Cusack (now the Dergvale Hotel). Playing at fullback on the team that won the 1914 & 1915 championships was Harry Boland, famous for his part in the 1916 Rising and War of Independence. He was later killed in the Civil War. Best year of all was 1920 when Faughs won the Senior Championship & League, Intermediate Championship & League. The team led by Bob Mockler, the greatest midfielder of his time captured the All-Ireland title beating Cork in the final by six points. The final score was 4-9 to 4-3. 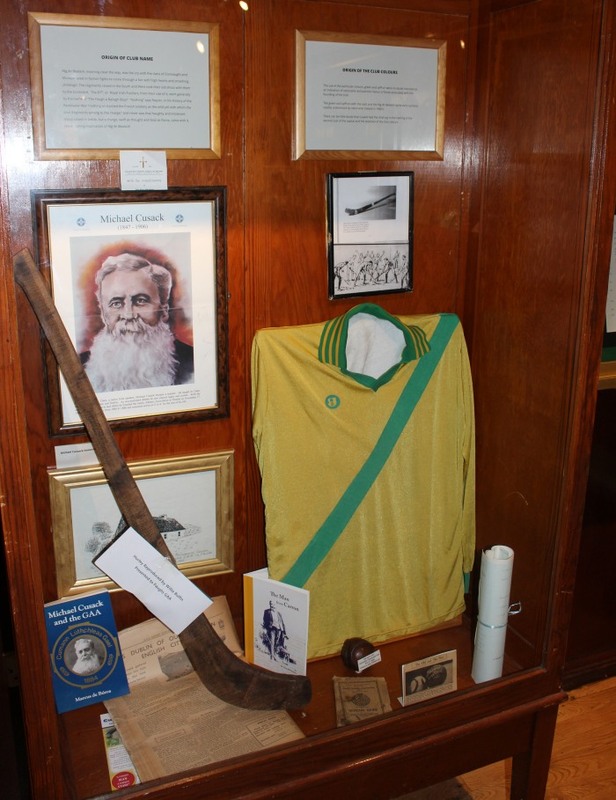 Included in this team were Jim ‘Builder’ Walsh, the only man selected on all three Tailteann Games Ireland teams, Tommy Moore, and John Joe Callanan who would later captain Tipperary to beat Dublin in the 1930 All-Ireland final. 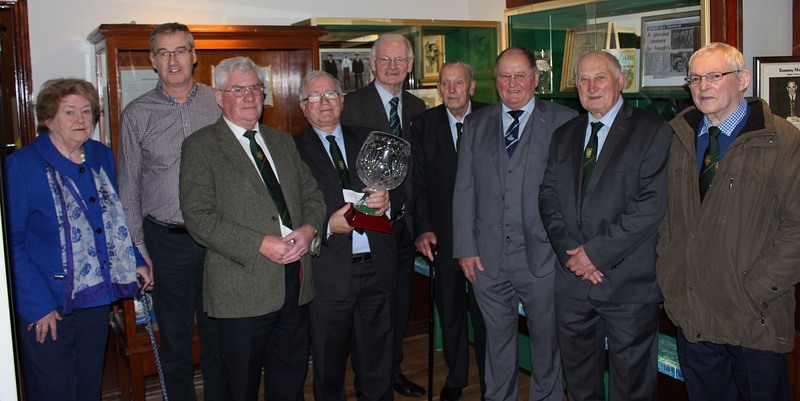 The cup presented to the All-Ireland Club champions each year was presented to the GAA by Faughs very own Tommy Moore.